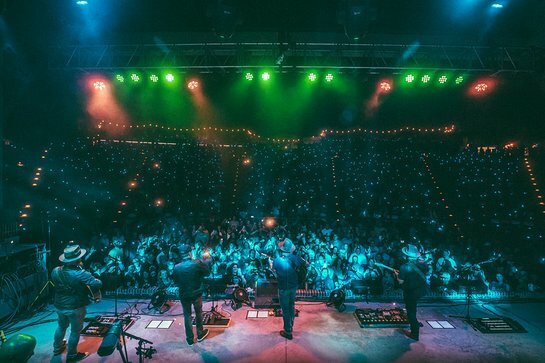 On Saturday, October 13th the multi-platinum, three-time GRAMMY award-winning Zac Brown Band took the stage at the Southern Ground Amphitheater in Fayetteville, Georgia for the seventh annual Night of Candles benefit show in support of Camp Southern Ground. Zac Brown Band played to a sold-out crowd to help support Zac Brown’s non-profit passion project, Camp Southern Ground, whose mission is to provide extraordinary experiences for children and veterans to recognize and magnify the unique gifts within themselves and others to profoundly impact the world. The annual event was made even more special this year as Camp Southern Ground celebrated its first official summer of week-long, overnight camps. Camp Director, Scott Hicok took the stage with Brown to remark on the inaugural summer. “It was amazing to see so many people come out to support our camp, our mission, and the wonderful kids we serve. We can’t wait to start taking camper applications in November, and for another summer of connection and growth in 2019,” said Hicok. 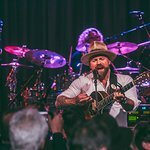 Thanks to the support of generous sponsors, all proceeds from the sale of tickets and a live and silent auction that included vintage Zac Brown Band memorabilia like the Taylor Guitar used in the recording of the Grohl Sessions and to write the hit song ‘Castaway’, will support the growth of the campus. The Night of Candles Benefit is a special night at our “hometown” venue to raise awareness and raise funds in support of our mission at Camp Southern Ground. I want to thank all of our patrons and sponsors for making this night a huge success, said Mike Dobbs, Camp President and CEO. The intimate evening concluded in a 90-minute performance featuring a set list of classic Zac Brown Band number one hits and rare B sides including ‘Natural Disaster’, ‘I Play The Road’ and a reggae version of the hit single ‘Whatever It Is’. Early Bird registration for 2019 summer camp will open on November 1st and registration information can be found by visiting CampSouthernGround.org.